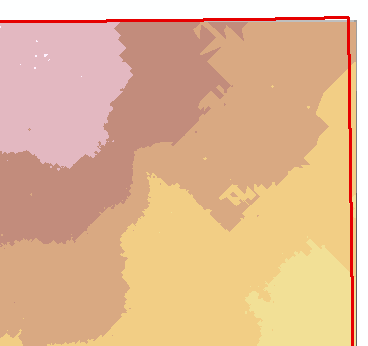 I'm having trouble trying to re-create how a Kriged layer looks when interpolated using Geostatistical Analyst. 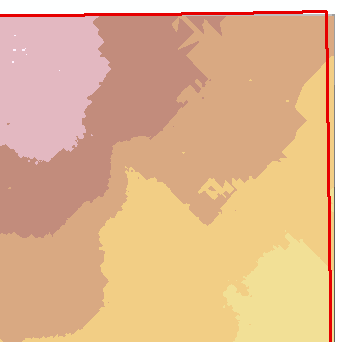 I like the level of generalization (smoothness) of the filled contours in the "temporary" GA layer prior to export, but when I "Export to Raster" I get a jagged pixelated raster. It doesn't seem to make a difference whether I use a large (50m) or small (20m) cell size. 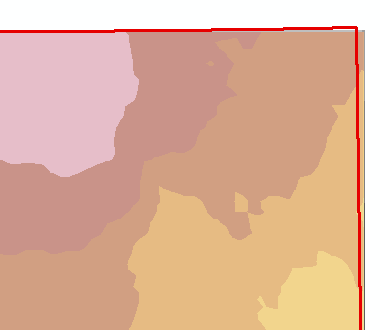 Here's an example, with both the GA and raster layers at the same contour interval. Are there other settings I should be changing for export? GA layers are a lower resolution and on-the-fly redrawn version of the interpolation results, that's why the output raster differs from the GA layer. As a result of this on-the-fly resampling, cell values from the GA layer can be different from the output raster's cells values. I advise you to read Esri's blog post Understanding Geosatistical Analyst Layers for more details. If you want to reuse the GA layer symbology, the only way is probably to save it as a lyr file (Exporting the GA layer as a raster saves the actual - full resolution - result, not its layer representation). What worked for my issue was Aggregating my exported raster 10x (from 50m cell size to 500m), then Sampling the aggregated raster. I used Topo to Raster to interpolate the sampled points, which gave me a similarly generalized raster to what Geostatistical Analyst produces. Apparently the .lyr file from a GA layer can't be applied to an exported raster. Not the answer you're looking for? Browse other questions tagged raster arcgis-10.2 export geostatistical-analyst or ask your own question.